Whether you’re looking to expand the reach of your company by offering new payment options or if you’re just looking to be an early adopter of a hot technology, accepting Bitcoin payments for goods and services can be a great option for businesses. Of course before you start accepting Bitcoin on your WordPress site, you should read this introduction to Bitcoin, which discusses the many advantages and risks of accepting cryptocurrencies for your business. Why Use a Bitcoin Gateway? Although Bitcoin carries significant risks due to it being volatile, most Bitcoin payment gateways allow you to convert Bitcoin to your native currency instantly. This ensures that if Bitcoin were to take a dive in value, your gateway would automatically adjust the Bitcoin price to equal what you would get if the user paid with a traditional currency. Most leading Bitcoin gateways function as a traditional merchant account allowing you to process Bitcoin transactions just like you would a credit card. The process is fairly straightforward and requires virtually no additional technical expertise on your end. While choosing to accept Bitcoin isn’t a decision which can be made instantly, in general if your business focuses on selling to customers across the globe or you work in an industry with a high charge back risk, accepting Bitcoin can make sense for your business. 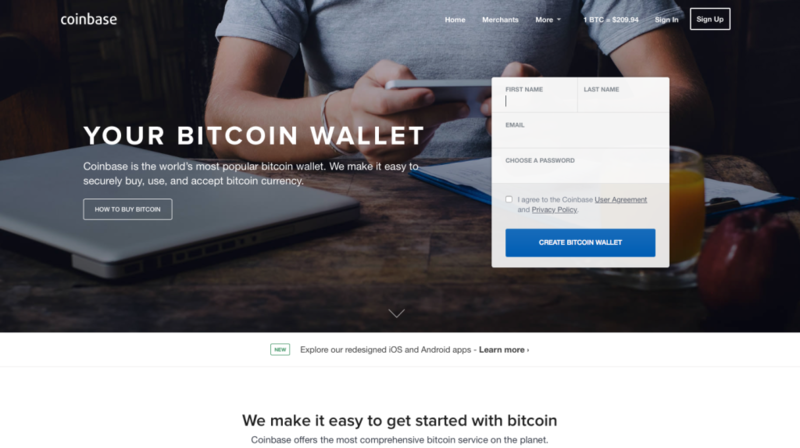 As one of the biggest names in the Bitcoin payment industry, BitPay has been used by many large companies including Automattic, the group behind WordPress.com. If you’re looking for a platform built with international commerce in mind, BitPay has over 40 translations and it also offers the ability to instantly price products in 150 currencies. BitPay also offers a versatile platform with over 30 integrations readily available to developers. Most notably WordPress and WooCommerce support are offered, however if you need to link the gateway into custom platforms, a variety of programming languages are also supported. BitPay starts their pricing with a free plan that supports unlimited processing volume, daily bank transfers and instant conversions. There also is a $300/month plan, however the only features it adds are phone support and QuickBooks integration. Similar to BitPay, Coinbase is another major player in the Bitcoin payment space. Unlike BitPay, Coinbase is geared towards both consumers and merchants by positioning its self as the ‘PayPal of Bitcoin’. By offering a wallet and conversion service, consumers can store their Bitcoin on the Coinbase platform while merchants can use the system to accept Bitcoin as payment from their customers. The biggest drawback to Coinbase is that it isn’t ideal for online stores with large amounts of products because each payment button is generated by a shortcode. The advantage of this, however, is that you can put the shortcode into a sidebar widget, allowing it to serve as a tip jar for your blog. The shortcode is also a good fit for companies where you have a custom landing page and you want the payment button to integrate well with your design. Coinbase doesn’t charge any fees on the first $1,000,000 of payments processed, however after that cap a fee of 1% applies to all transactions. Additionally funds only take 2-3 days to transfer to a bank account. Although this article is specifically focused around Bitcoin due to its popularity, if you need support beyond Bitcoin such as support for Dogecoin and Litecoin, GoCoin is the solution for you. 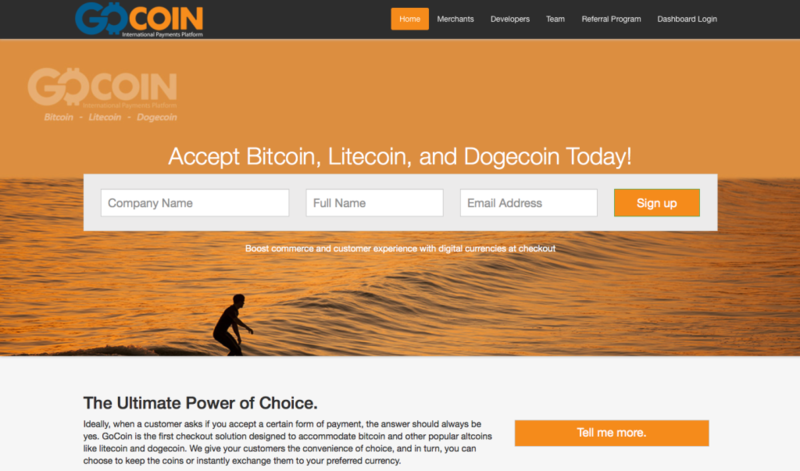 One of the most notable limitations for WordPress users is that GoCoin integration requires WooCommerce to be installed on your site. While other non-WordPress gateways are supported, if you are looking for an all in one solution for your WordPress site, you will have to stick with WooCommerce. If you have the time, you can use the GoCoin APIs to develop your own custom integrations. Although GoCoin has a slightly more thorough fee schedule than other gateways, the most notable points are the 1% transaction fee on all funds processed along with the $20 minimum to withdraw USD from your account. If you’re withdrawing funds as cryptocurrency, then the minimum requirements are much lower. As mentioned at the start of this article, Bitcoin and other cryptocurrencies have a long way to go before they hit mass adoption. Even though they offer some advantages to merchants, for the average consumer it’s unlikely they’ll be be using Bitcoin to pay for purchases online. If your business caters to international markets or often faces threats of chargebacks, then these gateways are worth looking into. On the other hand if most of your business is done within your country and you aren’t catering to early adopters, then rolling out these solutions on your WordPress sites might not be in your best interests.